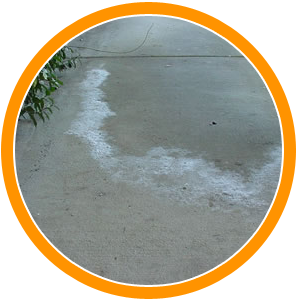 Remove efflorescence from the surface of your concrete. 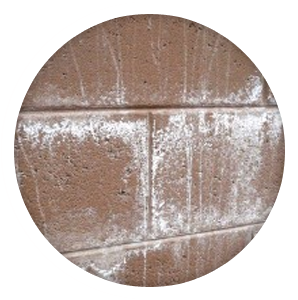 A fast-acting, water-based cleaner used to remove efflorescence from existing concrete and masonry surfaces. 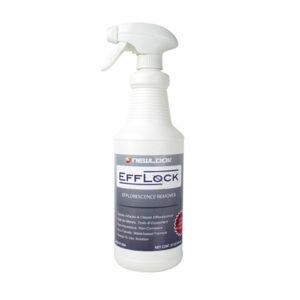 Efflock Efflorescence Remover attacks sodium chloride deposits (efflorescence) to make it easier to clean off. 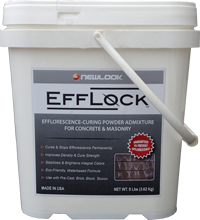 Use before treating concrete and masonry with EffLock Topical Treatment. 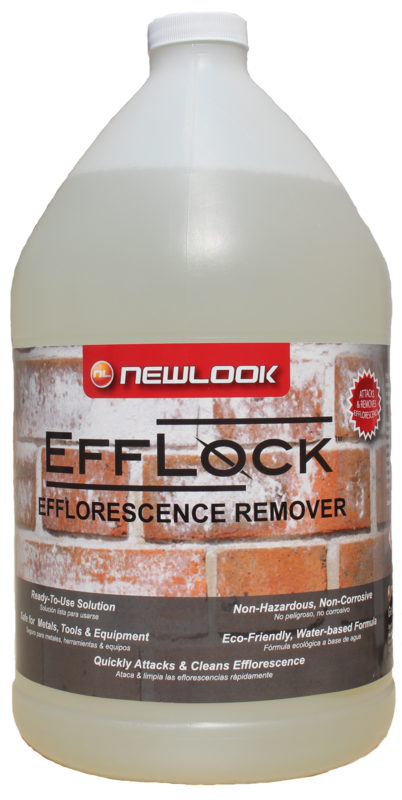 If efflorescence is the dandruff of concrete then NewLook’s EffLock Remover is the Selsun Blue™ you need to remove it! 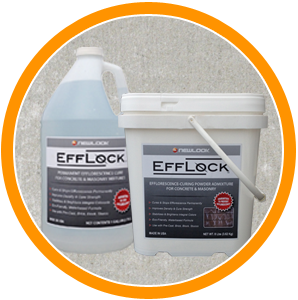 EffLock Efflorescence Remover is a revolutionary product that removes both primary and secondary efflorescence from the surface of your concrete and masonry. The water-based, eco-friendly formula removes the chemical impurities at the nano-molecular level from the surface of your concrete. May also be used to clean pre-cast concrete, concrete, masonry, grout, tile and many natural stone surfaces. Will help remove lime and hard water deposits, joint cement, cement grout haze, light mortar residue, rust and other dirt and grime. Coverage: Efflock Efflorescence Remover covers approximately 200 sq. ft. / gallon.